A Paulo DYBALA late winner for Juventus, an Angel DI MARIA chip goal while Diego PEROTTI and Lucas ALARIO also score for their clubs. It’s been a rollercoaster of a season for the jewel in Turin. In and out of the team while also getting injured has meant that DYBALA has been left out of Jorge SAMPAOLI’s latest Argentina squad. Just days after being left out of said list, DYBALA gave SAMPAOLI something to think about with an incredible winner. 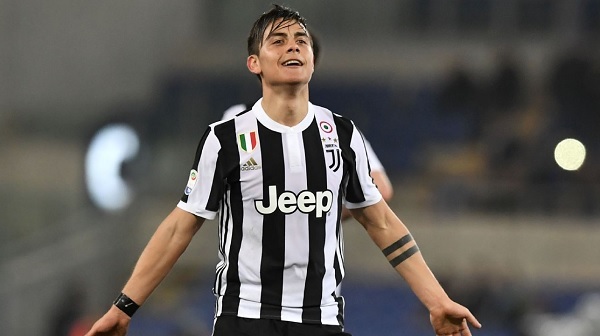 With the Serie A title race being as tight as it can be, DYBALA scored in the 93rd minute to give Juventus a 1-0 victory away against Lazio. DYBALA started the play running in midfield before receiving the ball once more at the edge of the area, playing the ball through the legs of a Lazio player and scoring while being on the ground. 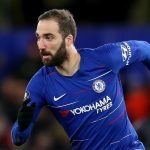 An incredible piece of genius from a player who maybe feels like he has something to prove. Still in Italy, a goal from a player who did make the latest Argentina squad as Diego PEROTTI scored for AS Roma in their 4-2 win against Napoli. PEROTTI took advantage of a free ball in the area to fire it into the back of the net. From Italy to France, Angel DI MARIA continues his excellent form adding goal number 17 of the season for him in PSG’s 2-0 win against Troyes. DI MARIA scored a lovely little chip goal as he dinked the ball over the goalkeeper to open the scoring for PSG. DI MARIA, who is regularly getting rotated in the team, with this great form, could be going not only into the international break but into the World Cup fully rested. In 2018, Angel DI MARIA has now scored 13 goals and has 9 assists in 15 matches. While not in the Argentina squad anymore, Lucas ALARIO is slowly making a name for himself at Bayer Leverkusen as he scored in their 2-1 win against Wolfsburg. ALARIO’s goal came off a penalty kick. To view ALARIO’s goal, click here. 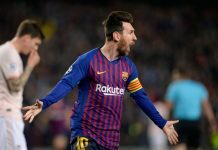 Sampaoli is a liar, He said that He did not have time to work on Messi-Dybala partnership in the qualifiers but he said that he will work on it. It was a lie, the first friendly with Russia, he could have put both Messi and Dybala He did not, He put Dybala in a worst team with Banega as number as number 5. The results was catastrophic and now he decide to not call him pretending that the moment it’s ideal. The truth is he doesn’t have Dybala in his plan. I have no respect for Sampaoli. In 1998 Passarella omitted Redondo. In 2010 Maradona did not take CL winners Zanetti and Cambiasso to WC. 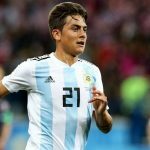 Will we talk about Sampaoli’s mistake regarding Dybala in a few years time? This our way to make history. In 2006 Messi was left on the bench and Ricardo Cruz was playing. Redondo one of the most talented midfielder ever played the game didn’t play WC98 because of Passarella. In 2010, we played a player in second division at Newcastle instead of putting the champions league winner(Zanetti). This is insane, Rojo and Funes Mori don’t play for almost a season and a half they get in the NT while Dybala the best player in serie A left out. My question is: Who is better than Dybala in the NT???? The moment Sampaoli continues to call Benega shows that there is nothing that we can expect from him. The answer is simple they just don’t wanna Messi to be world champions!!! No reason to panic just yet, Icardi and La Joya will be called up as part of the 35 man squad for the WC and if they step it up in training then they very likely will be going to Russia. Redondo, Zanetti and Cambiasso not being called up were crimes against nature but I don’t think Sampa would be doing that. Actually now I see reinforcing most of the classic teams of Argentina excluding River and Newell’s. Boca on the top. Racing – as you’ve said. But also: Estudiantes backing to highest level, San Lorenzo as always, Argentinos Juniors slowly better and better, Independiente (Copa SUdamericana winner) probably somewhere on Racing level (now derby of Avellaneda would be great spectacle). Lanus (CL finalsist) – I think they have crisis behind (Gaston Lodico to follow). And finally Velez. They have more talented players than any other team. IMO still Matias Vargas most talented in league. + Zarate, Bouzan, Salinas and Heinze – and they will probably able to compete with best teams in league soon. One week ago win over River, now good game againt Racing. Generally rivalry in the league seems more interesting currently. To be honest – River and Boca have the weakest youngsters back up ATM among the big clubs. Velez, Racing, San Lorenzo, Lanus, Estudiantes, Newell’s, Independiente, Argentinos, Rosario Central – all the teams are ahead of River and Boca on this. Lautaro Martinez with another goal in Superliga.